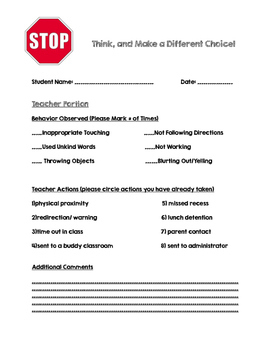 This product provides a dual think sheet for teachers and students that will allow teachers to better document student behavior. 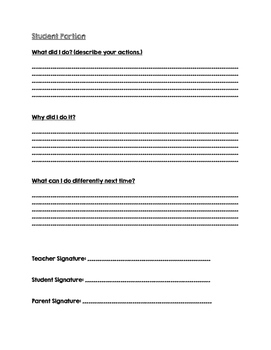 Teachers can document the behavior they witnessed as well as its frequency and the actions they took to redirect. Students are asked to reflect on their behavior and state the choices they make differently. Teachers may have to write for some younger students.